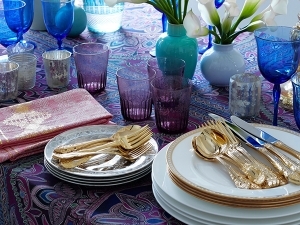 To set a regal tone for an event, using the "King Arthur" pattern is the way to go. 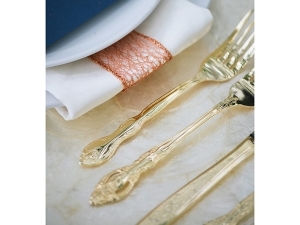 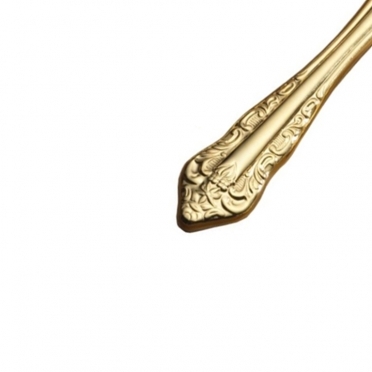 This gold-plated silverware provides the ultimate opulence and elegance to all table settings. 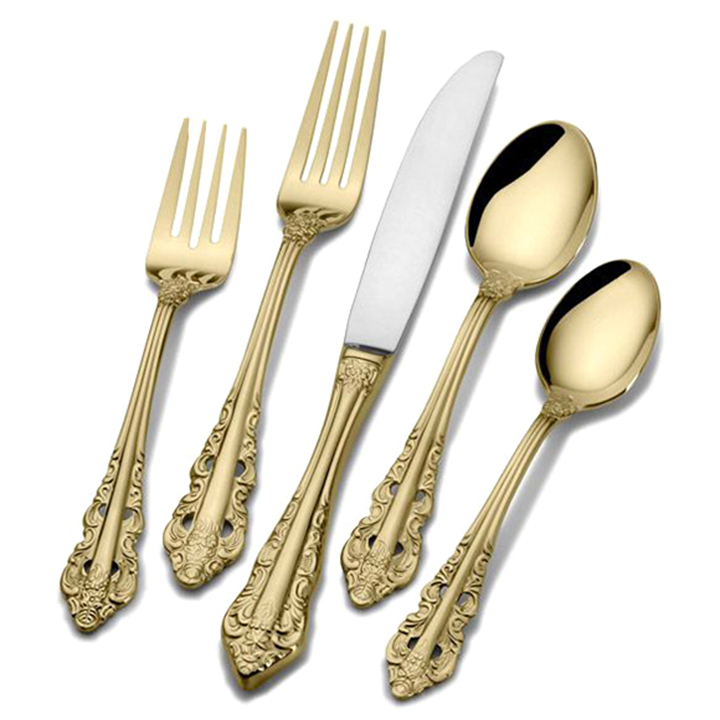 The floral motif is etched to perfection and includes small cut-outs at the base of each handle. Choose from various utensil options and treat your guests like royalty.